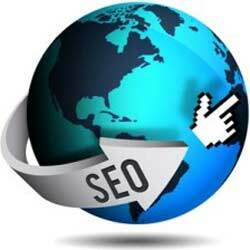 SEO or Search Engine Optimisation is the process of optimising your website to gain targeted visits from search engines. Digital Class provides a full day SEO Training course in Melbourne, covering a wide range of strategies and is explained in a clear and structured format. No experience in online marketing is necessary. The basics are explained and cover all the important steps of what needs to be done, so that your website will earn more traffic from search engines. Contact us to enroll in the next course. The majority of students choose this option. Group classes run regularly at our training centre. One to one guidance. This can take place at our training centre or at your location. We can run the class at your location. For groups we prefer you have a projector/ screen and a conference room. Classes are very small, with a maximum of 4 students per class. Classes are personalised and students can ask the questions specific to their needs. Our training centres are conveniently located in a central location, near the train station, so we are easy to get to regardless of where you are coming from. View what previous students have said about SEO classes with Digital Class.